Jawaharlal Nehru University JNU MBA Admission 2019 will be held on the basis of CAT 2018. In order to take admission in Jawaharlal Nehru University, candidates need to give CAT 2018. The “Atal Bihari Vajpayee School of Management and Entrepreneurship” in JNU offers admission to MBA course from the academic year 2019-20. The Atal Bihari Vajpayee School of Management and Entrepreneurship in JNU (ABVSME, JNU) is a newly created school in the university. The application process for JNU MBA Admission 2019 is now over. 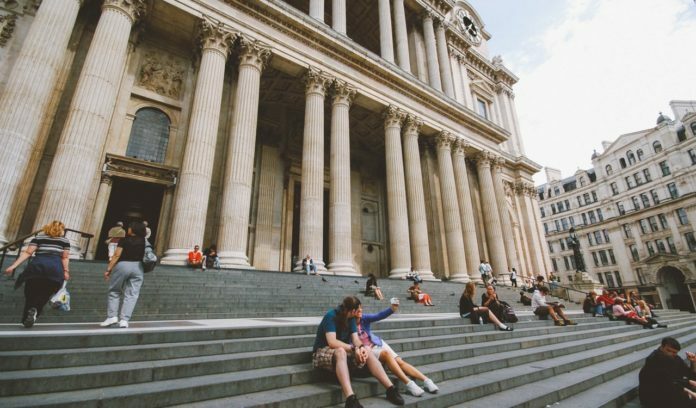 Candidates must ensure their eligibility criteria before applying for the application process. To know more about Jawaharlal Nehru University JNU MBA Admission 2019 follow this page. Latest: JNU MBA 2019 Application Process is now over..!!! 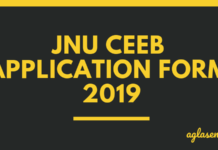 Jawaharlal Nehru University JNU MBA Admission Process 2019 starts from January 20, 2019. Last date for submitting the application form is March 01, 2019. Candidates must apply before the last date. Schedule for Jawaharlal Nehru University JNU MBA Admission 2019 is provided below. Atal Bihari Vajpayee School of Management and Entrepreneurship (ABVSME) is going to conduct the Application Process for MBA course. 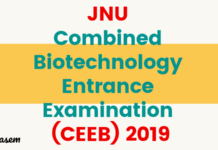 Candidates will be able to apply through the official JNU website and link to fill the Application Form is also provided on this page. Candidates first need to register themselves then only then they will be able to log in and obtain the Application Form. Candidates must ensure their eligibility criteria before applying for the application process as if they do not fall into the eligibility criteria there candidature might get canceled. Rs. 2000 (two thousand) only for General Category and OBC applicants. Rs. 1000 (one thousand) only for SC/ST/PwD applicants. A link would be sent to the mentioned email ID and you need to click and activate the account. Log in using the registered email ID and password. Upload photo, certificates, mark sheets, as mentioned. Complete the application by paying the stipulated fee in online mode. The candidates having the following qualifications are eligible to apply for admission to the “Masters in Business Administration” (MBA) programme. A Bachelor’s Degree or equivalent awarded by any of the universities incorporated by an act of the central or state legislature in India or other educational institutions established by an act of Parliament or declared to be deemed as a University under Section 3 of the UGC Act, 1956, or possess an equivalent qualification recognized by the Ministry of HRD, Government of India. The bachelor’s degree or equivalent qualification obtained by the candidate must entail a minimum of three years of education after completing higher secondary schooling (10+2) or equivalent. For General Category candidates a minimum of 60% marks in aggregate (of all the years/semesters) or equivalent CGPA in the qualifying degree is required. For OBC candidates a minimum of 55% marks in aggregate (of all the years/semesters) or equivalent CGPA in the qualifying degree is required. For SC/ST/PWD candidates a minimum of 45% marks in aggregate (of all the years/semesters) or equivalent CGPA in the qualifying degree is required. Candidates appearing for the final year of bachelor’s degree/equivalent qualification examination and those who have completed degree requirements and are awaiting results can also apply. If selected, such candidates will be allowed to join the programme provisionally, only if she/he submits a certificate by a certain date (to be decided by the University in due course). Once the candidates are shortlisted they will be called for the interview, it is important that the candidates should check the interview dates. The final list of selected candidates will be based on CAT scores and the marks obtained in the interview. The weightage on CAT scores shall be 70% and the weightage of marks obtained in the interviews shall be 30%. Atal Bihari Vajpayee School of Management and Entrepreneurship (ABVSME), JNU, would take 50 students each year for its MBA programme. JNU will use CAT scores for short-listing/selecting the candidates for the MBA Program. IIMs have no role either in the selection process or in the conduct of the Program. Those having applied to the MBA Program of ABVSME, JNU, on qualifying the CAT will be shortlisted and then invited for an interview. The Common Admission Test (CAT), 2018, scores will be used for short-listing candidates for interviews for admission in the MBA Program of ABVSME, JNU. At least three times the number of intake in each category would be shortlisted for interviews. The final list of selected candidates will be based on CAT scores and the marks obtained in the interview. The weightage on CAT scores shall be 70 percent and the weightage of marks obtained in the interviews shall be 30 percent. 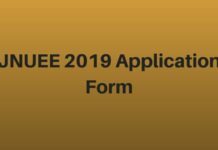 JNUEE 2019 Application Form : Apply Here!